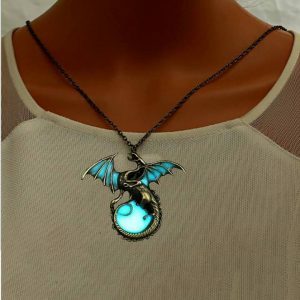 This beautiful charming dragon heart stone necklace is hand-crafted with a large Labradorite stone of Magic, a crystal of shamans, diviners, healers, which symbolizes a Dragon’s Heart. 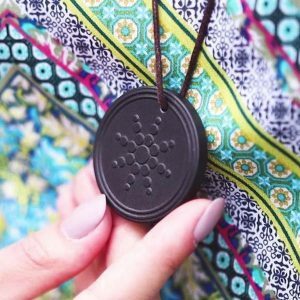 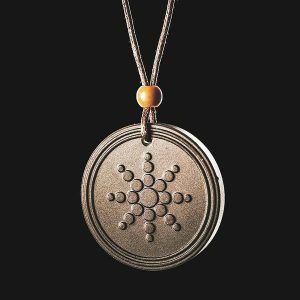 A powerful talisman known for centuries for all who travel and embrace the universe seeking wisdom and guidance. These stones emit a maximum of their energy when in contact with skin. 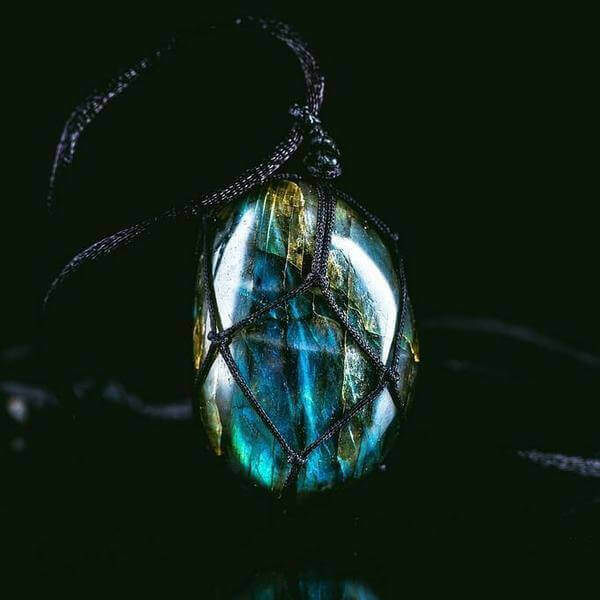 Consequently to make the powerful Labradorite working more efficiently and visible from any angle. 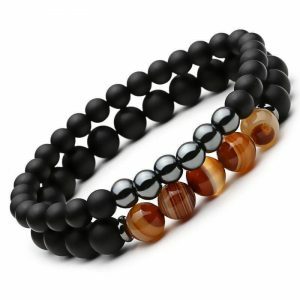 It is equipped with a large mesh hole. 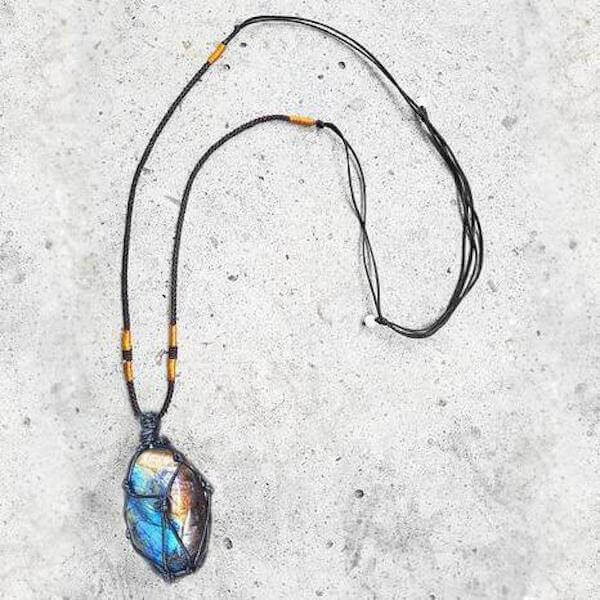 Wearing this statement piece provides a safe exploration into alternative levels of consciousness and in promoting visionary experiences from the past or the future. 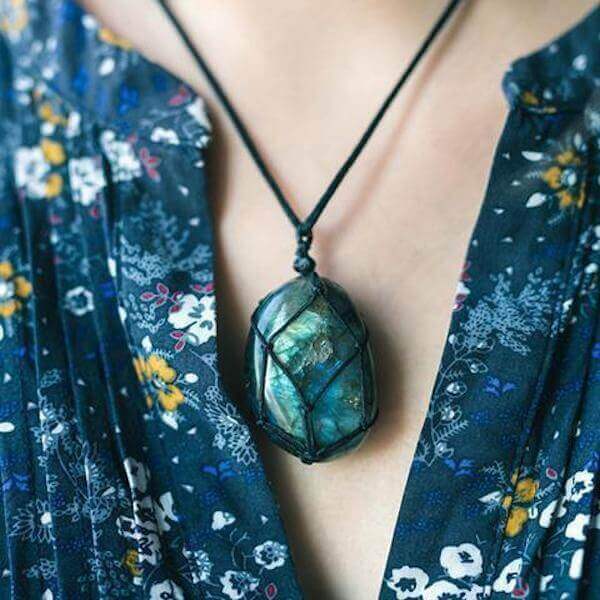 Labradorite enhances the mental and intuitive powers of clairvoyance, telepathy and coincidence control. 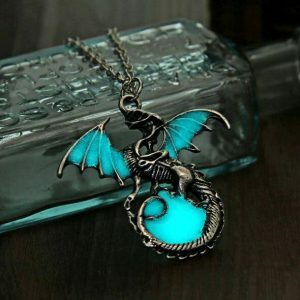 It also protects against negativity in the world. 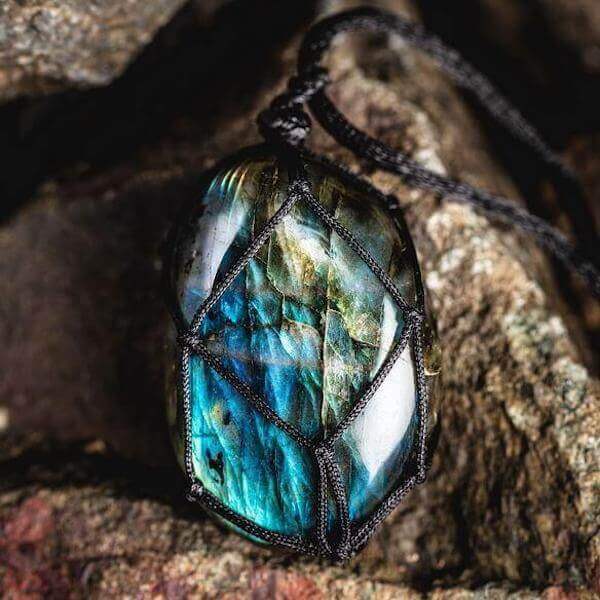 Labradorite is a natural stone it can vary in color and the amount of shimmer. 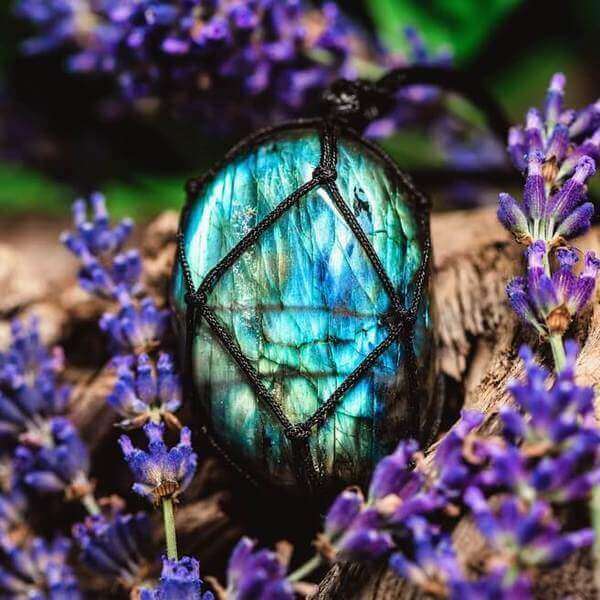 When light hits Labradorite from a particular direction, it displays impressive rainbow-colored lights. 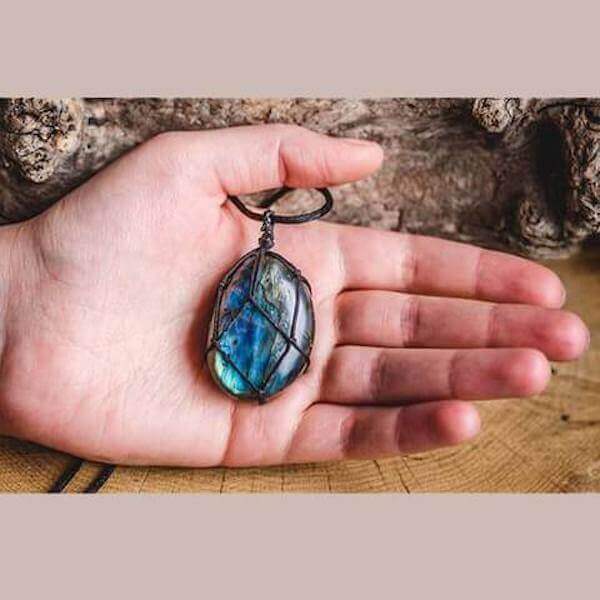 Please Note: Before using this dragon’s heart labradorite necklace, you should energize and cleanse your stone, the best way to do it is by letting them under cool running tap water for 10-20 minutes. 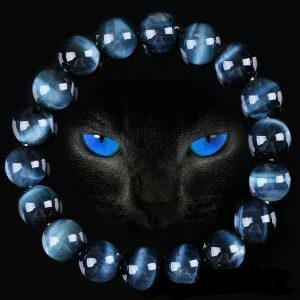 If there is a running river, you can place stones and crystals in an open mesh bag and left in the running water for a short time.